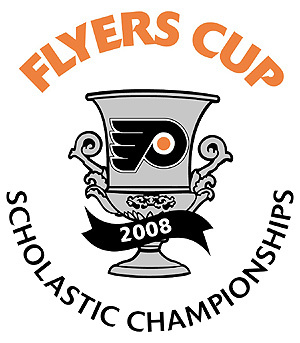 The Flyers Cup is a Philadelphia High School hockey tradition; every year the Flyers Cup is played between the best high school hockey teams in the Eastern PA area at every level. This year the bracket tourney in the highest skill level has come down to the La Salle Explorers, the top seed and winners of 2 of the last 3 Flyers Cups, and the Malvern Prep Friars, the girliest high school in the world. Okay, full disclosure: I was on the last two Flyers Cup winning La Salle teams and come from a long line of Explorers. But my bias doesn't affect my prediction. Malvern will fall victim to the Explorers depth of talent and all-star coaching. 5-2 is your final score, I'm thinking. Let's forget about winning and losing (La Salle will win, Malvern will lose) for a minute. After the Flyers have played worse than a high school hockey team for the past 8 games, we hockey fans need to be reminded of how great the sport is when the players aren't making a million dollars. So if you can, head down to the Wells Fargo Center to catch the game live tonight at 7 pm.. Or tune in to the game through its online stream here http://www.csnphilly.com/ . Or check out the Comcast Network TV channel ( I think it is channel 8 on my TV). The passion and atmosphere of the Flyers Cup, take it from someone who has played in it twice, is why hockey is such a great sport.